The best and first way students usually start building credit is by becoming an authorized user on their parent's account. 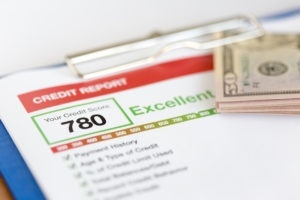 This is one of the safer and easier ways to start building your credit. Not only can your parents monitor your spending, but you also get a credit boost if your parents have good credit. If you do have enough credit history or proof of income, you can open up your own credit card. When you have your own credit card, be honest with yourself on how responsible you can be. In order to build good credit, you need to be able to pay off all of your balances at the end of the month. Not all credit cards are the same; there are low interest, high interest, yearly fee, reward credit cards, and so much more. It’s good to start off with a low credit line on your credit card to get yourself adjusted to having a credit card and paying the complete balance (not just the minimum payment) off each month. Make small purchases on your credit card to avoid purchasing items you can’t afford. You should also make smaller purchases to leave more of your credit line open in case you have to make an emergency purchase. If you apply for too many credit cards in the same time period, your credit will decrease. One credit card should be more than enough for a college student to build their credit and pay for expenses. Are you getting a credit card because you want to start building credit? Or are you getting a credit card because you need extra money? Getting a credit card to have an extra spending allowance is not necessarily a good idea. Spending more than you have can ruin your credit and set you further back from making those first time purchases of a car, apartment, and home. An easy way to keep track of what you’re spending vs what you’re making is to pay off each purchase on your credit card as soon as you make it. Another way to keep track of your spending is to make a list of things you’re going to buy with your card and match each purchase with how and when you’re going to pay it off. Building your credit is exciting! You are working toward making your first big purchases. As long as you are responsible and keep on track with what you are spending, you will end up with a great credit score. Click here to check out Cyprus Credit Union's credit cards, start building your credit, and earning rewards in travel, merchandise, cash back, and gift cards.